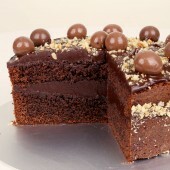 Splendid, rich with intense chocolate flavour. 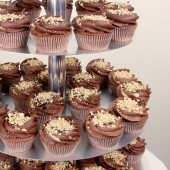 This is our Chocolate and Hazelnuts Wedding Cupcake Set. 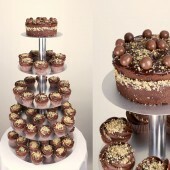 Each and every one of your guest will receive a special, personal small cake. 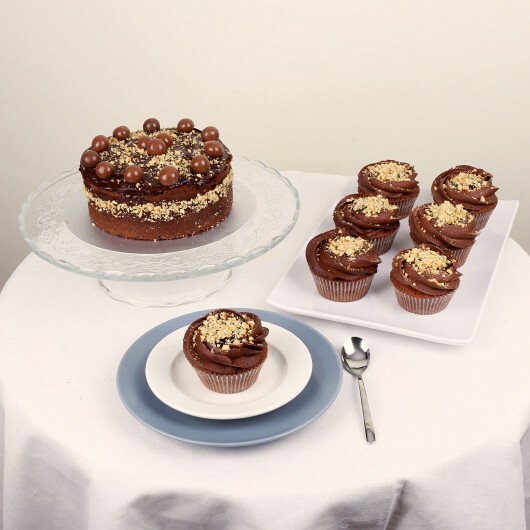 It’s made of cocoa, fiiled with chocolate ganache, decorated with cocoa frosting and topped up with ganache and chopped roasted hazelnuts. 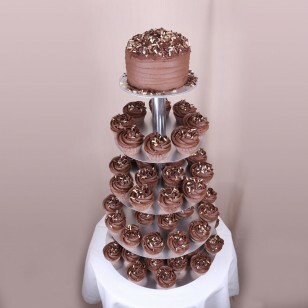 Rest assured, this is will be a sweet unforgetable wedding memory for all your guests. 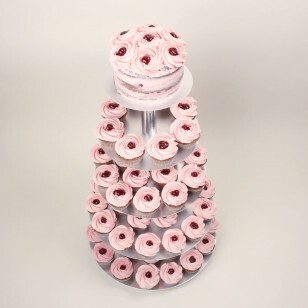 Aside from presenting endless possible combinations of taste and decorations, Take a Cake’s cupcake wedding sets are suitable for any number of guests. 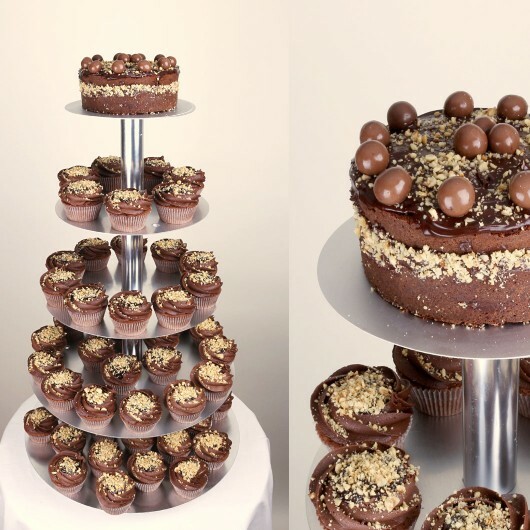 A big advantage is that it provides quick and easy serving for the eager guests right after the traditional cutting of the wedding cake. 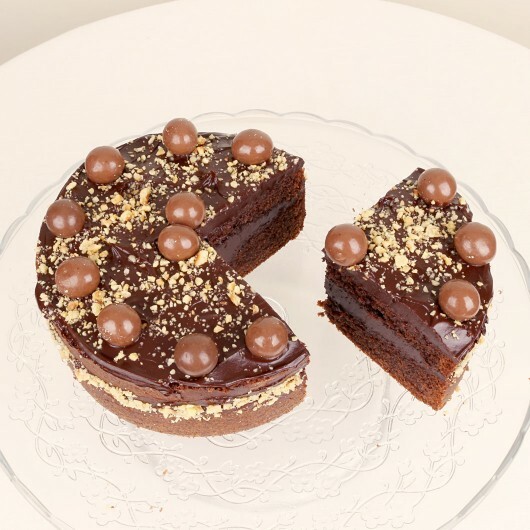 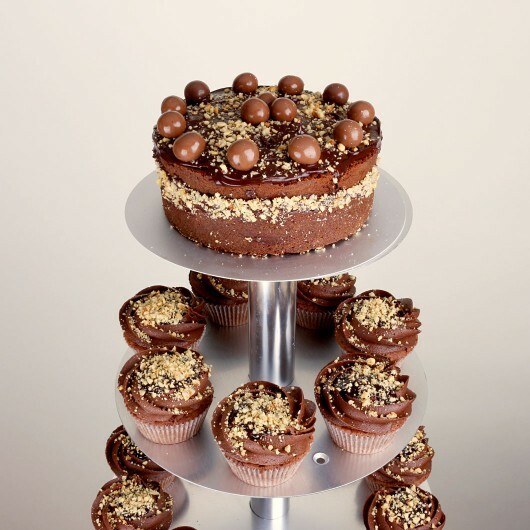 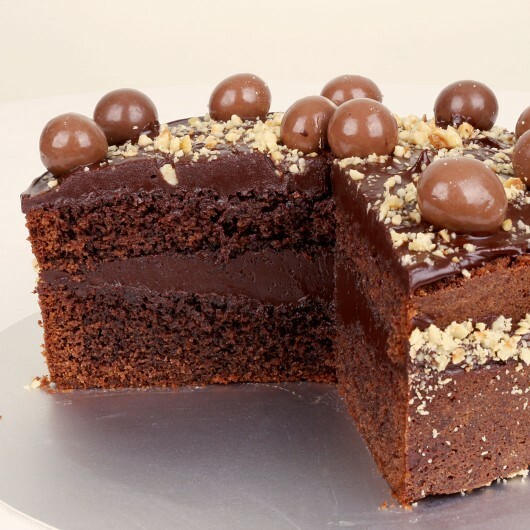 Chocolate and Hazelnuts Cake made of two layers with chocolate ganache, decorated with chocolate-coated hazelnuts and chopped roasted hazelnuts. 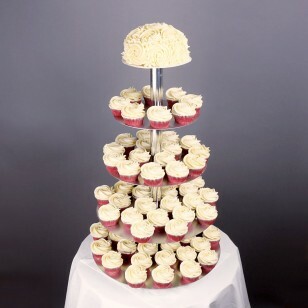 Each Wedding Cupcake Set could be modified to fit the newlyweds’ personal needs as well as the wedding theme itself. 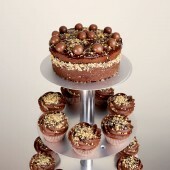 Select a date and a time frame to collect this product from your preferred bakery or get it delivered. If you don’t see the desired date and time frame it is either filled to capacity or we need more time to get your order ready.